This Model shows the geo-locations of the invasive species of Saskatchewan in conjunction with the varying factors of Saskatchewan’s temperature, soil type, ecoregions, precipitation, and geology. All of these factors are also represented temporally in decade ranges. Below you will find two options to represent this data. The first option, Google Maps, only requires an internet connection and will show the representative information in a standard form. This option is named a standard option because the geometry and supported entities are slightly more limited than the Google Earth option. The Google Earth option requires you to have google earth installed and have an internet connection. This option allows you to download an invasive species google earth package, which is easy to install onto your google earth program. This option is a more powerful and graphic intensive. The other advantage to the google earth option is it's compatibility with mobile devices. 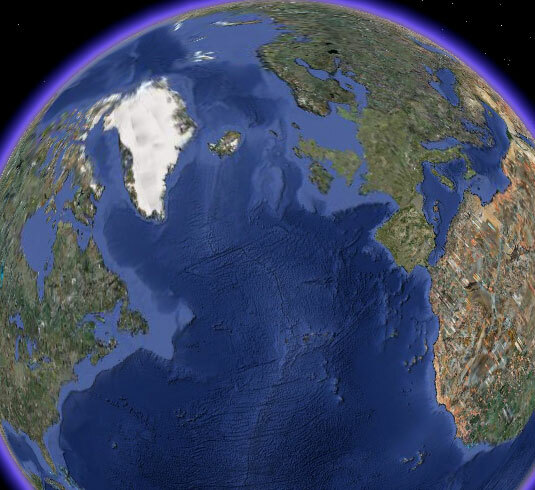 Almost every new application running mobile device can access a google earth application and apply this package to it.